Houtzen will get her next chance at a Group One win in the Manikato Stakes at The Valley. Queensland mare Houtzen will have a short freshen-up and be set for the Group One Manikato Stakes. Houtzen was fifth in the Group One Moir Stakes at Moonee Valley on Friday night, an effort that pleased trainer Toby Edmonds as he reflected on her run. “If you look at the head-on she hit the rail twice in the straight. I am not saying she should have beaten the winner Viddora but she should have got closer,” Edmonds said. “It was one of those races where things just didn’t work out the way we had hoped. We drew really well but we didn’t get the cart into the race we expected. 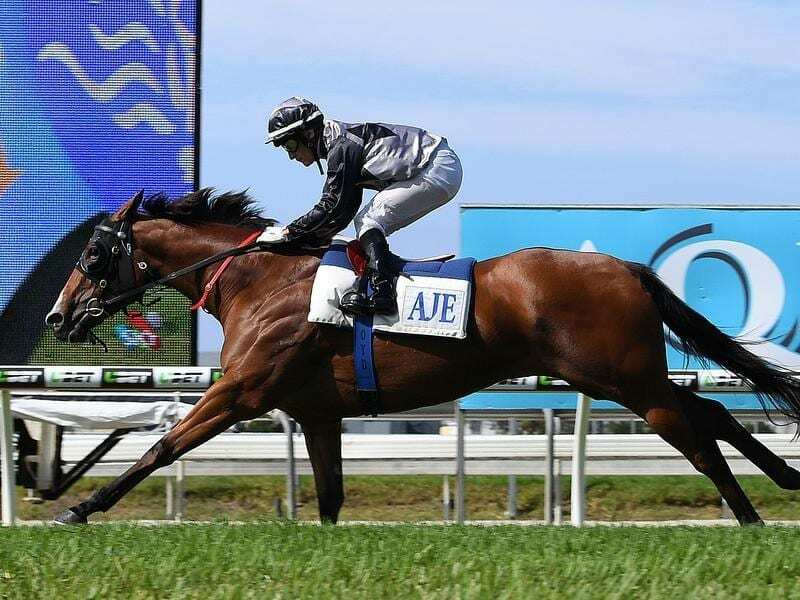 Houtzen, the 2017 Magic Millions Classic winner, has won the Group Three Scarborough Stakes and has twice been placed in the Group Two McEwen Stakes at the track. The Manikato (1200m) is on October 26. Houtzen’s jockey Ryan Maloney took ill after one ride at Doomben on Saturday and was stood down for the day but expects to be fit to ride this week. Multiple Group One- winning jockey Damien Browne returned to riding with a double at the Sunshine Coast on Friday night and two rides at Doomben on Saturday. He missed six weeks because of a facial injury sustained in a trackwork accident. Browne is currently riding on a stay of proceedings from a suspension in June and is expected to have his appeal heard in the Queensland Civil and Administrative Tribunal in late November.